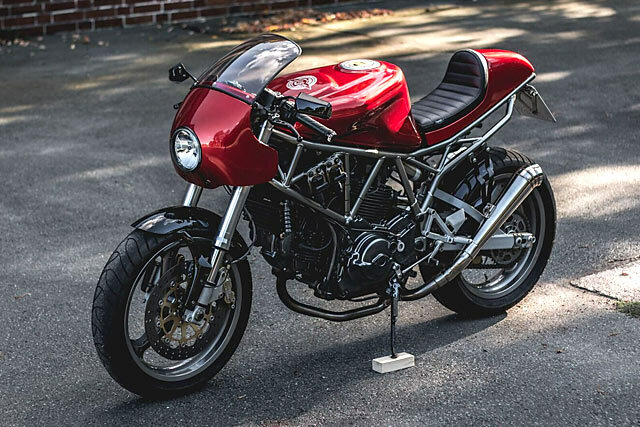 Ducati’s first and arguably best tilt at the modern cafe racer was their achingly beautiful Sport 1000. We still regret not grabbing a new one before they ceased production in 2008, and we bet we’re not the only ones. 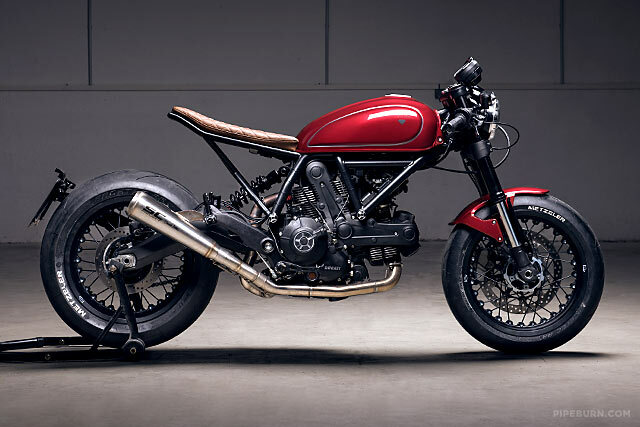 But there’s always the custom route to modern cafe Ducati ownership and Germany’s Kaspeed have done just that. Here’s their 2001 750SS SuperSport. 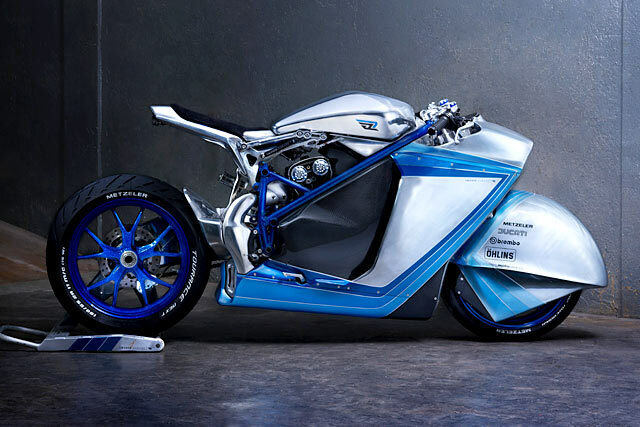 Munich’s Diamond Atelier have produced some incredible, high-end motorcycles over the last few years. But lately they’ve decided to take a new approach, making a run of customized motorcycles all based around the same platform. This allows them to nut out the quirks and challenges of each build and offer up a motorcycle that’s cost effective but equally bloody gorgeous. 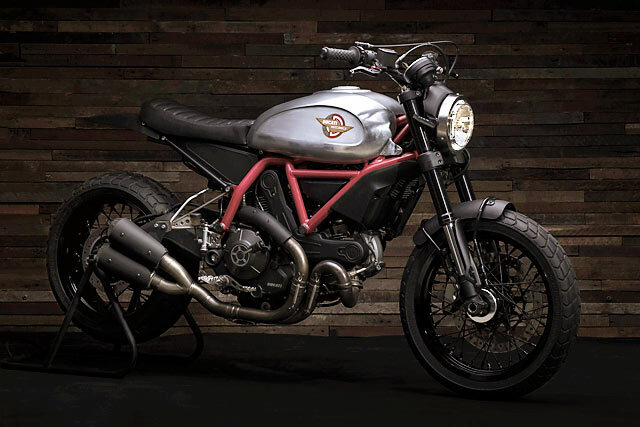 The first to receive this treatment is this gorgeous Ducati Scrambler Sixty2. Benjie’s Cafe Racers have been selling tanks, seats and sundries for over ten years now. Most of their parts are styled after the more classic, traditional cafe bikes that we all oogle over: all hunkered down, gloss-sheened and highly polished. But this time the team have tackled a plastic-riddled 2014 Ducati Scrambler and trimmed it into this bit of motorcycling perfection. PARTS & CRAFTS. 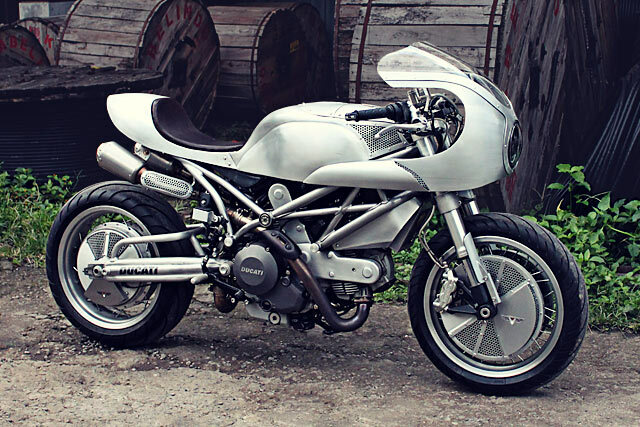 A Beautiful Ducati 860GT Racer From Speed Craft Co.
Dreams can’t be forced, they evolve and as much as we might hope that the object of our desire appears instantly before us it rarely if ever eventuates. Instead dreams take a series of twists and turns and only time reveals if they will live up to all we had hoped for; too often we awake disappointed. So to ensure total satisfaction Gregg Miner, Co-Founder of Speed Craft Co, decided to control his subconscious trance and lay his hands on mechanical metal. 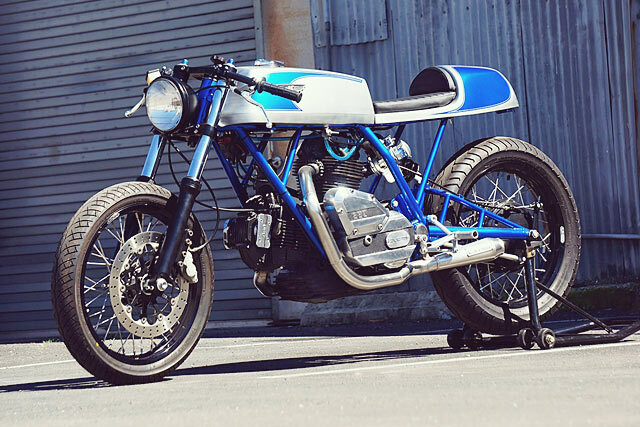 From the bare bones of a 1974 Ducati 860 GT comes this Bologna beautiful cafe racer crafted in Southern California. Validation is the feedback from others that you have been seen, heard, recognised and appreciated. But it first requires that you were right in your approach and successful in your endeavour. Killing two birds with one stone is this outrageously incredible machine by Indonesia’s Smoked Garage. Clearly, they were wondering if they could build a world-class custom bike and if a one man scooter shop in paradise could become an international success. 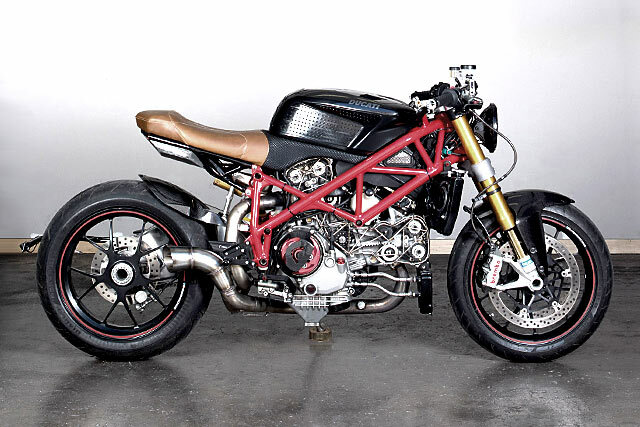 The answer is a resounding yes to both, and this 2015 Ducati Street Fighter 848 built in Bali is a Neo-Racer the likes of which has never been seen before. Indonesia has proved quite the powerhouse of late when it comes to custom bikes. With builders that are easily the best in the region and a beautifully original take on things, it’s a country that attracts the interest of the region’s bike fans over and above many of its contemporaries – Australia included. And the Indonesian crème de la crème would have to be Bandung’s White Collar Bikes. Their main man, Ram Ram Januar, has the metalworking skills of sword maker. And here’s very shiny, perfectly brushed proof. 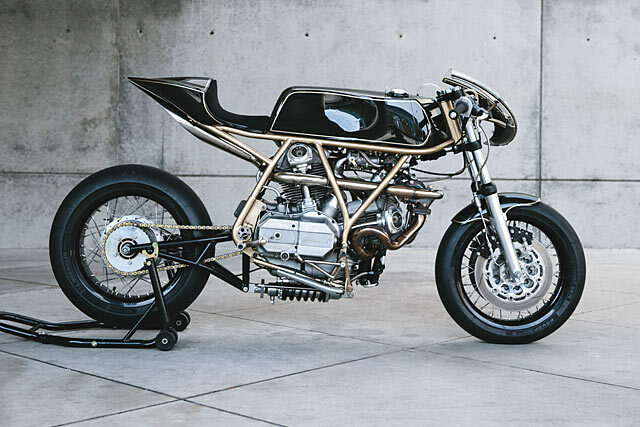 It’s his latest build, an all-metal Ducati 795 racer.